“Daar is ‘n tyd om te kom en ‘n tyd om te gaan”. Dis nooit maklik om die bekende vir die onbekende te verruil nie, maar wie nie waag, sal ook nie wen nie. So het die tyd vir my aangebreek om Gauteng se stof agter te laat ….die see en sy mense wag ! Met groot opgewondenheid sien ek uit om ten volle by Mosselbaai en omgewing, se mense en hul dinge betrokke te raak. Die afgelope jaar het ek beleef hoeveel goeie werk deur verskeie mense en instansies hier gedoen word. Hoeveel verskillende uitreike, uitstallings en feeste gereël word om die omgewing te adverteer en as ‘n gewilde vakansiebestemming en toeriste aantreklikheid te bemark, maar ook om terug te gee waar daar nood is. Ons hier by die “Mossview” sien uit om ‘n positiewe bydrae te lewer. ‘n Bydrae wat aansteeklik en motiverend is en entoesiasme kweek – ook om projekte te begin wat kinders en jongmense betrokke sal kry en hulle te inspireer. Geniet die see, son en vakansie (of vakansie stemming). Festivalgoers at the 2014 Dias Festival can look forward to more of the stunning performances of the Eqstra Flying Lions aerobatics team in their Harvard T-6 aircraft. 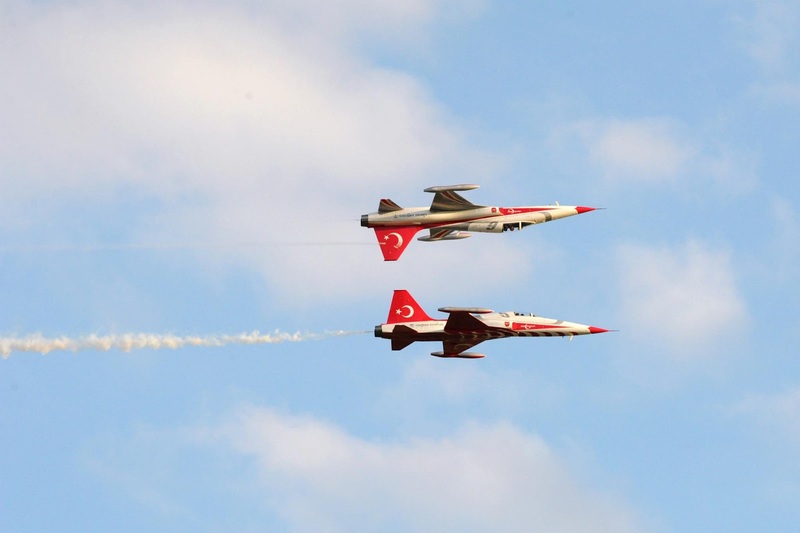 These daring pilots had festivalgoers gasping for their breaths at the 2013 Dias Festival and will be back at the Standard Bank Airshow during the 2014 Dias Festival. Their programme will again include a spectacular evening display on 31 January 2014. The 2014 Dias Festival, which is co-ordinated by the Mossel Bay Municipality as a project to stimulate the local economy and market the town, will take place from 30 January 2014 to February 2014. As was the case at the previous two Dias Festivals, the Western Cape aerobatics championships will again form part of the festival programme. The championship will be preceded by practice sessions on 30 January 2014, while the official competition will take place on 31 January 2013 and 1 February 2014. The Standard Bank Airshow, where the Flying Lions will perform in their World War II machines, will take place on the Saturday, 1 February 2014. In addition to the Flying Lions, several other interesting aircraft are expected to participate. These include a Hunter jet, a RV7, a T29 Trojan, an MX2, a Yak 55 and a Suhkoi. The programme will also include skydiving performance. Like in 2013 there will be a big flag jump. Pinnacle Point Group’s management and its creditor, Absa, withheld crucial information that could have stopped Trilinear Empowerment Trust from investing in a company that was about to go under, the commission of inquiry into the factors that led to Pinnacle Point’s liquidation heard yesterday. 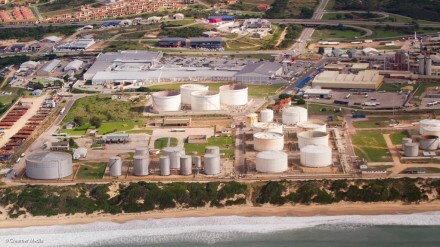 Trilinear, which lost millions of rand in pension funds of members of the Southern African Clothing and Textile Workers’ Union, bought R100 million worth of Pinnacle Point shares in October 2009 on the premise that a project that would ensure Pinnacle Point’s continued existence was on track. Absa and Pinnacle Point told Trilinear that the outstanding issues relating to the group’s proposed property development project in Nigeria, the Lagos Keys, had been sorted out, but this was not so. These included the requirement of a certificate of occupation and two environmental impact assessment certificates from the Nigerian government. Former Trilinear fund manager David de Waal had approached Absa to find out if the project was on track, but claims that he was misled. However, Stephen van Coller, Absa Capital’s chief executive, told the commission that the bank “took trust in Pinnacle Point’s management that these issues would be sorted out”, and was simply communicating what it had been told to Trilinear. “Management was telling us that this would be resolved. There was a lot of trust at hand here that this was going to happen. Otherwise we would not have put in R55m,” Van Coller said. He said the Pinnacle Point chief executive at the time, Hendrik Pretorius, told Absa that the company had a close relationship with the Nigerian government and that getting the required certificates was a mere formality. Absa also refused to share its due diligence report with Trilinear. But advocate Gavin Woodland laid the blame at Absa’s door for not disclosing what it knew to Trilinear. “Whether you like it or not, Absa was part and parcel of that transaction,” he said. Although it was Pinnacle Point’s financial advisers, Rothschild, that proposed that the company issue shares to rescue itself from potential liquidation, it was Absa that came up with the initial rescue plan. It was also the bank that said Pinnacle Point needed to raise R100m from shareholders other than Absa. The rescue package would consist of a R95m underwriting offer and a R55m bridging loan facility. Pinnacle Point had to raise the remaining R100m through a rights issue. Absa’s lawyers in Lagos alerted the bank some months before Trilinear offered to buy Pinnacle Point’s shares that without obtaining the required certificates, the Lagos Keys project could not happen. Absa was only going to underwrite the group’s rescue package if this project went through, but it did not stipulate this as a precedent condition. 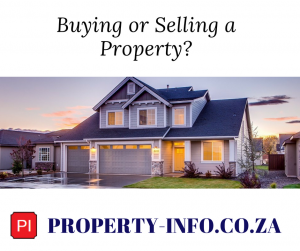 In February 2010, when Pinnacle Point obtained a certificate that stated the company could not sell undeveloped plots of land, Absa ditched the underwriting agreement. It then entered into an agreement with Trilinear, to which it sold all its shares for R150m. PetroSA is interrogating two main sites (one in Vleesbaai and one in Voorbaai) in for the proposed LNG terminal and is planning to make a final investment decision on the $375-million to $510-million project in the fourth quarter of 2014. The project is designed to bolster security of gas supply to its gas-to-liquids plant and first gas could flow in early 2018. However, interested and affected parties have alleged that the EIA is noncompliant with South Africa’s environmental regulations, particularly the National Environmental Management Act regulation stipulating that the environmental assessment practitioner (EAP) be fully independent. Project opponents have objected to the appointment of the Council for Scientific and Industrial Research (CSIR) as the EAP, arguing that the State-owned science council could not be considered to be independent given that government is the sole shareholder in both the CSIR and PetroSA. However, a number of other objections were also raised in correspondence dated November 1, 2013. The DEA, as the competent authority, is compelled to investigate allegations of noncompliance and it, therefore, notified PetroSA and the CSIR on November 22 both of the suspension and that they could “make representations to the DEA regarding the alleged noncompliance”. Rescue Vleesbaai Action Group (Revag) chairperson Mareo Bekker expressed gratitude to the DEA for its intervention. The organisation said that the DEA’s intervention followed the recent termination by PetroSA of its appointment of WorleyParsons to conduct a quantitative risk assessment for the project in parallel with the EIA process. The termination followed Revag’s objection to the assessment being performed by the same company that had already been appointed to conduct the front-end engineering design of the proposed terminal. PetroSA said it had noted the decision and that it would be making a representation to the department regarding the alleged noncompliance. “PetroSA is confident that all requirements and legislative processes relating to the appointment of CSIR as the independent environmental assessment practitioner have been duly followed,” operations VP Dr Thabo Kgogo said in a statement. He added that its presentation to the DEA would be done “as soon as possible to ensure that the EIA process continues unhindered”. GEORGE (NOVEMBER 2013) – The 11th annual Great Brak Grabadoo is taking place on Tuesday 31 December 2013. Due to the overwhelming positive response about the routes that were changed in 2012, organizers are not going to change a single route in 2013 to assure more participants enjoy this experience. With breathtaking routes snaking through some of the most beautiful flora in the Kingdom of the Southern Cape, the Great Brak Grabadoo (generally referred to as Grabadoo) offers something for everyone, whether you are a novice or a veteran mountain biker at heart. This exciting and picturesque route attracts fanatics, families, holiday makers, locals…riders from all walks of life. Victor Matfield, legendary Springbok lock, participated amongst 1 200 other participants in the 2012 race for the first time and he found the route exhilarating. The jovial atmosphere, sportsmanship amongst riders and festive spirit makes this an event not to miss! Runners, walkers, families and even pets can participate in the most beautiful walk in the Southern Cape around the Great Brak River in a 4.8km route. Mountain bikers can choose from 4 exciting routes including some wonderful new twists and turns to the existing routes – 15km, 31km, 42km, 66km.. Entry fees for the specific routes are as follows – 15km @ R60; 31km @ R80; 42km @ R90; 66km @ R100. Walkers enter @ R35. and the fee for a temporary license for mountain bike distances 31km 42km &66km is a mere R35. Pre-race entries can be done on Monday 30 December at the Peperboom Restaurant in Great Brak River, or at www.onlines.co.za . The 2013 festive season is upon us. Holidaymakers will be here in hordes and before we know it, the jingle bells of Christmas would have come and gone. Before 2014 runs away with you, run, walk and ride out the old year into a bright, happy and fit New Year. Heartbreak is the very nature of golf. And, after a year of solid performances, nothing can cause more heartbreak that failing at Qualifying School, professional golf’s version of a trip to the dentist’s office. Four of South Africa’s top golfers – Lee-Anne Pace, Ashleigh Simon, Melissa Eaton and Paula Reto – will try to avoid that particular agony when they launch their bids at the LPGA Tour’s Final Qualifying Tournament on Thursday. The local quartet will join 150 other hopefuls from 27 countries, including 30 American states, at the LPGA International golf course in Daytona Beach, Florida in the all-or-nothing battle over 90 gruelling holes for just 20 coveted cards on offer for the 2014 season. The South African foursome will hope to make the final stage of Q-School for the low 70 players and ties after 72 holes. The consolation prizes are not too shabby, though. Players who finish 21st through 45 and ties will earn membership in Category 17 and everyone who misses, will at least receive Symetra Tour status. Former Ladies European Tour No 1 Pace has lived through the process before and is a hands-on favourite to make the end goal after another sizzling season in Europe. The 32-year-old Mossel Bay golfer won the Ladies Spanish and the Turkish Airlines Ladies Opens, posted five top 10 finishes, including a runner-up finish in Slovakia, claimed a top 25 finish at the Ricoh Women’s British Open in a field that included the top ranked players in the world and will start the Qualifying School as the No 2 ranked player in Europe. Simon, too, has had a couple of turns at Qualifying School and, despite a lengthy layoff at the start of the season, came into some great form recently and vaulted to 10th in the LET standings in just 10 starts. Eaton won the Florida Natural Charity Classic and finished 13th in the final Symetra Tour rankings, which earned her a straight pass to the LPGA Qualifying School final stage. But it is unheralded Reto who has been the most impressive over the last few months. The 23-year-old excelled at hockey and ran track in South Africa, and only took up golf in 2005. She secured a golf scholarship to Purdue University, where she excelled in the collegiate system. Reto made the All-Big Ten first team, the Golfweek All-American third team, was a Big Ten Sportsmanship Award honouree, received an honourable mention NCGA All-American and was named Golfweek Player of the Week Finished in the quarterfinals of the US Women’s Amateur Championship, where she was eliminated by eventual champion and world’s top-ranked amateur, Lydia Ko. In July, she graduated with a degree in Law and Society and launched her professional career on the Symetra Tour. Reto made all seven starts and vaulted to 33rd in the final rankings after tie for sixth in the penultimate Volvik Championship and a third place finish in the season-ending Symetra Tour Championships. This put her straight into the field for the Stage Two Qualifier, where she shot rounds of 73-71-71-73 to tie for 28th and earn her place at Final Stage. But the South Africans could be up against it with the likes of Amy Anderson, Cheyenne Woods and Kim Kaufmann in the field. North Dakota State standout Anderson, who won the Stage II Qualifying Tournament in Venice by six strokes, won 20 collegiate titles as a member of the North Dakota State women’s golf team, surpassing Juli Inkster’s previous record of 17 collegiate victories. Tiger Woods’ niece made headlines last year when she qualified for the 2012 US Women’s Open and played as a sponsor’s exemption at the 2012 Wegmans LPGA Championship. Texas Tech graduate Kaufmann took the Symetra Tour by storm after graduation and earned her first professional victory in just her third event at the Island Resort Championship in Harris, Michigan. She went on to record three additional top-10 finishes and narrowly the top 10. 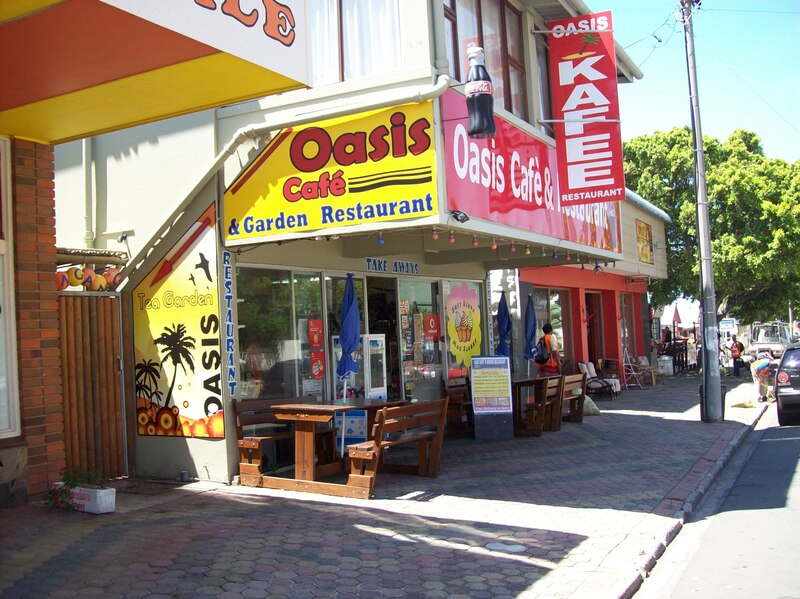 Oasis Cafe, is one of the oldest Cafe’s in Mossel Bay, catering for basic groceries,all airtime requirements, as well as delicious take away foods and a sit down peaceful restaurant. I have been the owner for 5 years now, but Oasis Cafe’ has been in business for 70 years. I bought Oasis Cafe’ as another business adventure as I had been in the fishing tackle industry I wanted to get more involved with the catering side of business. My business is aimed at the average client, with my prices being very reasonable, I aim at affordability as well as client service. Oasis Cafe’ supplies basic groceries, affordable and mouth watering food. I have managed with the help of my staff to grow Oasis Cafe’ even further, by offering deliveries in and around town, we have extended our take away menu to now offer a restaurant menu which is able to seat 36 people. I would imagine this to be our food, service and location. Through experience I have learn’t that the success of my business cannot be achieved without my staff. In future my business will offer a 24hours service on various days of the week, based on the old Road House. Marshstraat sal, soos die tradisie is, weer vanjaar in ‘n fees van helder kleure omtower word wanneer die Uitvoerende Burgemeester, Raadsdame Marie Ferreira, op Saterdagaand, 7 Desember 2013, die feesliggies sal aanskakel vanuit die Harry Giddeypark oorkant die munisipale kantore in Marshstraat. Die aanskakeling sal gepaard gaan met ‘n program van samesang, ‘n gebed vir nooddienste en orkesmusiek. Die tyd vir die funksie is 19:00 vir 19:30, en die opening en die verwelkoming sal om 19:30 plaasvind. Die aanskakeling van die liggies sal omstreeks 20:00 geskied. Live music and entertainment by some of Mossel Bay’s best talent will be one of the highlights at the open day on Saturday, 7 December 2013 at the Mossel Bay Craft Art Workshop in Market Street (next to the Mossel Bay Tourism offices). Local artists and crafters ply their trade or sell their products at this workshop and it is the ideal place to shop for creative art, leatherwork, beadwork, needlework and Proudly South African pâpier-maché art.